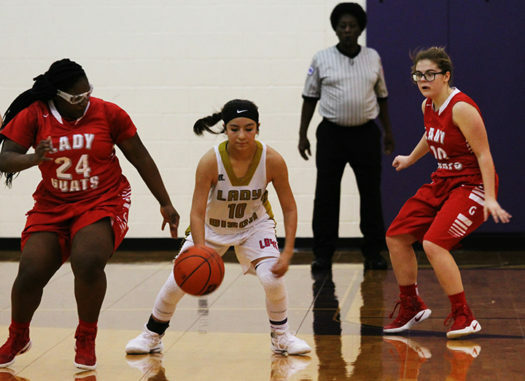 Sophomore Iris Valles heads towards the basket in a game against Groesbeck. Now that the season is in full speed, the Lady Bison basketball team has added a JV team. At the start of the season, the team was not large enough for a JV, but new students who enrolled at the start of the second semester gave the group enough players to create two teams. Dividing into two teams does mean that the varsity team has a smaller bench now. The players said that having two teams allows more playing time for everyone. The JV team has already had games against Westwood and Groesbeck. The team’s next game will be against the Teague Lions.